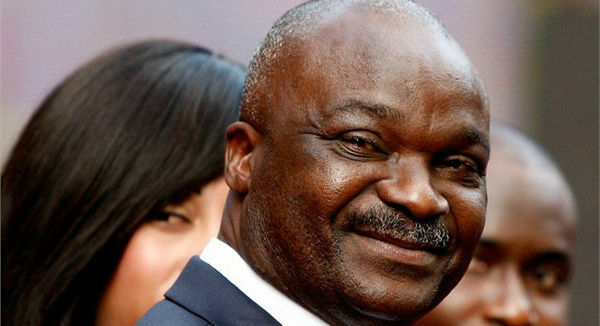 In 1990 no one ever expected much from the Cameroon side in the World Cup and very little was known about its 38 year old wise cracking veteran called Roger Milla. What Milla ended up doing during that World Cup forever changed the perception the world had of African soccer. The soccer world was taken by surprise by Milla and his joyous hip wiggling celebratory style which became a signature trademark. The Cameroonian Milla remains one of the greatest soccer players Africa has ever produced and also the oldest goal scorer at a World Cup – he was playing against Russia in 1994 aged 42 years. He was nicknamed the Indomitable Lion for his flawless soccer talent and standing up to Cameroonian government officials against their lack of support for the sport. Today Milla not only acts as a soccer agent but runs his humanitarian foundation – the Roger Milla Heart of Africa Foundation – which helps underprivileged kids in Cameroon. Albert Roger Mill was born in 1952 in Yaoundé, Cameroon and much of his childhood was spent moving around due to his father’s railroad job. The then 13 year old Milla’s soccer talents were immediately noticed by a club in Douala and he was signed. Within five years he won his first league championship for his team Leopards Douala. Milla soon jumped onto to his next club, the Tonnerre of Yaounde where he won league wins and medals. The same year he was named African Footballer of the Year. The Cameroonian striker was well known his grace and impeccable technique; he also drew much respect from the soccer world and other players due to his ability to stay calm under immense pressure. Milla was soon lured to Europe and started playing for the French club Valenciennes, then later moving to AS Monaco. Within a year he had moved on to a new club Bastia, then St Etienne and Montpellier. He won the French cup for Monaco in 1980 and with Bastia in 1981. He also received the French Second Division championship medal during his tenure with St Etienne. After scoring 152 goals in the French league, he retired from the French Reunion Islands and won Saint Piere their local league title in 1990. Milla moved back to Cameroon to play for his native side for the World Cup of 1992 which would go on to change history for African soccer and its players. The world had not heard much of the 38 year old, but his performance and charming celebratory wiggle went on to earn him a lot of respect. In that World Cup Milla scored four goals with historic performances against Romania and Columbia and led Cameroon to a quarter final slot. Milla emerged as one of the major stars of that World Cup. Today Milla is am ambassador for numerous African causes and in 2004 he was named by FIFA as one of the 125 greatest living footballers alive. He won the African Footballer of the Year Award twice and at the age of 42 went on to play for Cameroon in the 1994 World Cup.